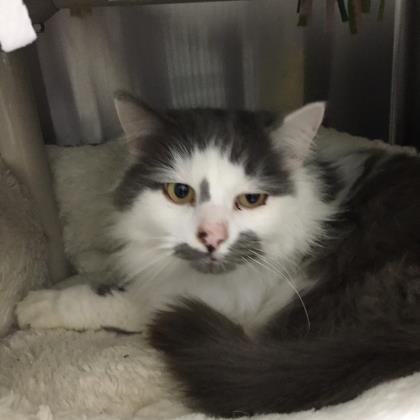 The “Pet Spotlight’ at the South Pacific County Humane Society is on HANS- a grey and white long haired kitty. He is a big, beautiful boy. He is super friendly and would make a great pet. He was outdoors on his own for awhile, but he is adjusting nicely to being an inside, cuddle cat. Come meet him and you will be in love for sure! Hans is 3 years 7 months old. The Shelter is open 11 am- 4 pm Tuesday through Saturday.